If you’re a hockey coach in Canada this season at any amateur level, you will notice we are welcoming you with some new features. First, I will take questions from the room. To begin, all head coaches at all levels will need to be certified. Your certification level will depend on the age group and level you coach. Naturally, the more competitive level you’re at, the higher the clinic level you’ll need. There is no more “grandfathering” due to playing or other coaching experience. Even if you have, um, a very friendly relationship with a board member, you can’t escape needing to attend a Development 1 or High Performance 1 clinic. Good news is, you’ll leave smarter. Now if you’re an assistant coach, you could be entirely off the hook. Hockey Canada has only made it a “strong recommendation” that assistants be certified. Some branches are making it compulsory or easing people into it by having, say, one assistant per team with accreditation. This spin cycle won’t be too taxing, especially if you feel strongly that kids shouldn’t need qualified coaching staffs. Next, every coach—every coach!—will need to spin through a checking clinic. It will include both off-ice and on-ice portions and will instruct everyone on how to progressively teach checking either with or without the body checking part, depending on the age group. This won’t stop Cro-Magnon-style coaches from counting hits in games as a tool to, well, I dunno what. But now at least they’ll have a clue about how to teach it, even if they can’t be bothered. Legal advice for such people is not included in the clinic. The final spin is about certification maintenance points. Every coach dealing with competitive level teams will need to accumulate points over a five-year period to re-cycle themselves as qualified coaches. They’ll be able to do it in a number of ways. 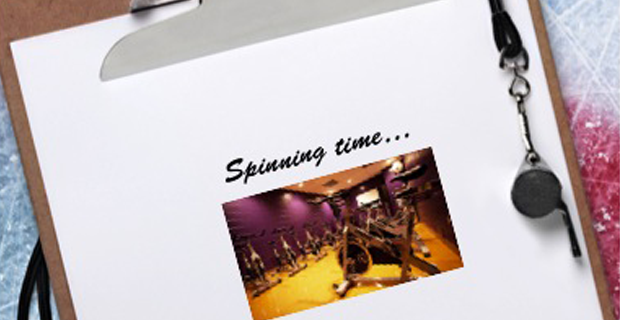 However it will mean a bit of new spinning from time to time.